The first impression is everything… Or is it? The impression you make is crucial. But what happens after is just as important, if not more so. You want to wow prospects and get them to really understand the value you have to offer. Because once they realize you are the clear and really the only logical choice in your field, it’s a natural next step to do business with you. The ignition funnel puts them in control, moving at their pace, and loving you for it. It delivers a consistent performance. You don’t have to be afraid of losing them or forgetting to follow up. This course is a recording of Steve Rosenbaum’s live Strategy training, plus the replays from the 5 session Boot Camp led by Rob Calhoun. 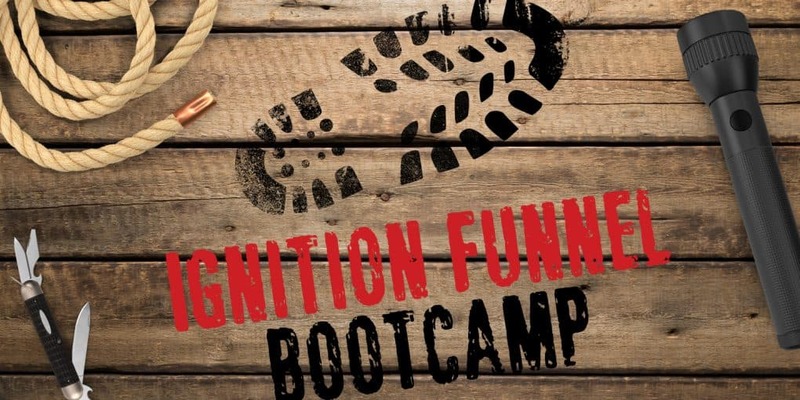 Rob breaks down the Ignition Funnel into action steps you can easily follow. The Ignition Funnel is a fundamental part of your customer relationship process. It is like strapping a rocket to your customer’s expectations. If you want to get the relationship started faster and take that relationship higher and way beyond your competitors’ reach, you need this in your arsenal.